I love listening. I can remember being a kid and lingering at the dinner table when my parents would have friends over. My siblings and their friends had long since scattered to their own rooms and toys, but there I sat with my elbows perched on the table, mesmerized by the stories the grown-ups were telling. I didn’t want to contribute or interrupt. In fact, many times I wished I were invisible so I could just enjoy the laughter and conversation that was taking place around me. Life is unpredictable and funny and heartbreaking and anything but boring. I love hearing about the experiences of others as told through their own unique lens. There is always something to learn if we just take the time to listen. Today I am beginning a brand new series on the blog called Brave Conversations. Once a month I will be featuring a real-life friend of mine who is living and leading with bravery in their own unique sphere. It is my hope that these words will inspire you to be a little braver in your own life. So pull up a chair, pour a cup of coffee and lean in. 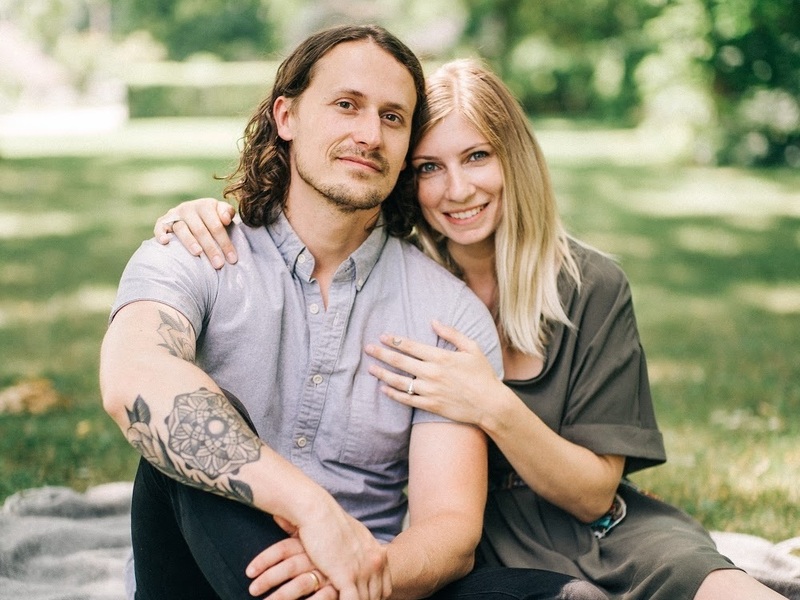 First up are my good friends Joe and Erica Matteson, a husband and wife photography team who bring such intentionality to their work. In fact, they are the people behind the camera for a lot of the photos you see on my platforms. Every time I have the opportunity to work with them, I come away feeling so encouraged and always astonished at the final product. I’m excited to share our conversation with you. How does bravery play a role in your life and work? “We tend to be more brave in our personal lives than we are in our work life. There can be a lot of pressure when owning a business and we are continuing to learn daily what works and what doesn’t. Each decision is made thoroughly and cautiously. This is because we are considerate about our clients’ needs and how they are feeling. We never want to make a business decision that will negatively impact them. What obstructs your own bravery in work and in life? How do you respond? Just for fun, what is something that is inspiring you right now? It can be a book, podcast, blog, TV series, whatever. What’s next for The Mattesons? Anything exciting happening? This year we launched an exciting rebrand of our company. What was formerly Joe Matteson Photography is now The Mattesons. We felt like this brand was a better description of who we are as a team. Our clients can expect to work with both of us on projects. Lastly, where can folks find out more about your work?